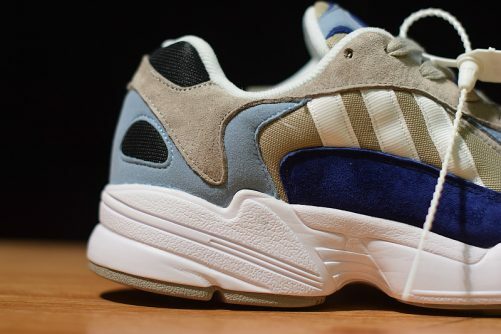 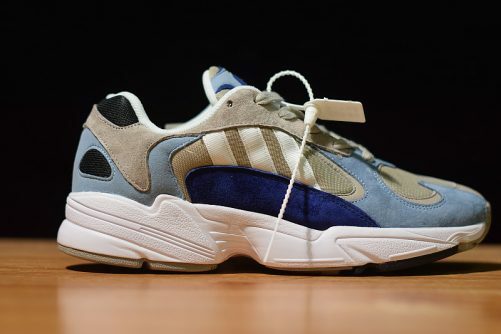 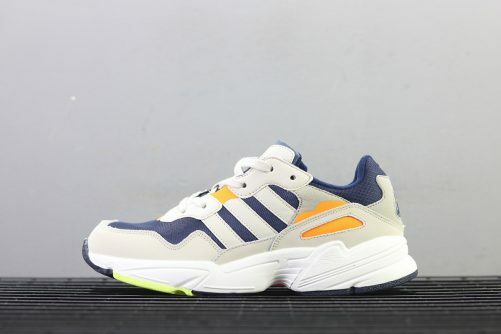 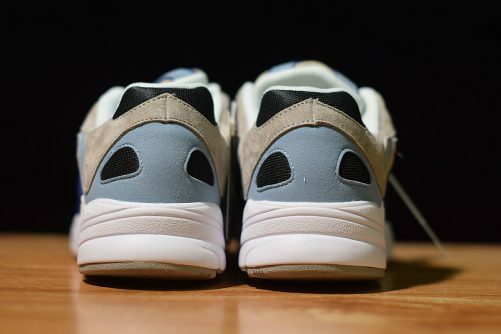 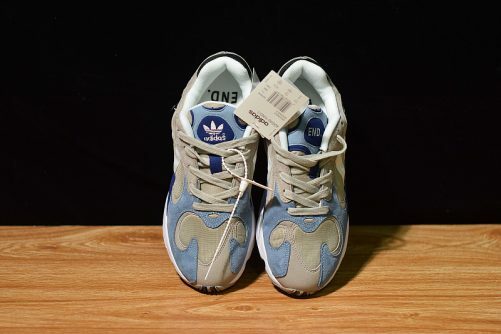 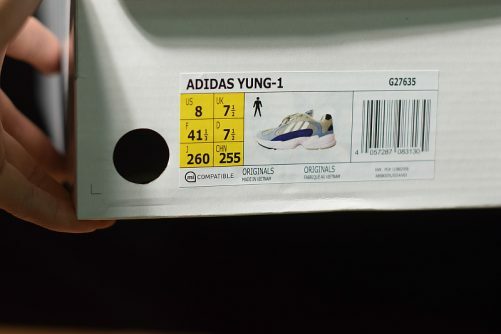 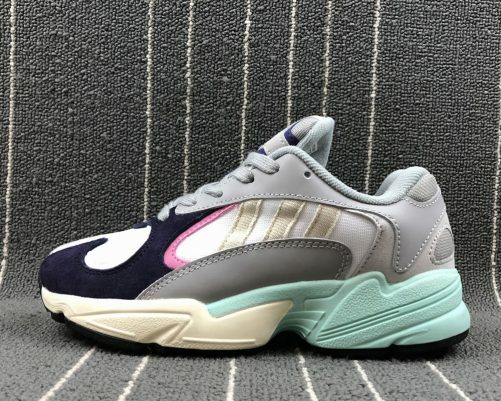 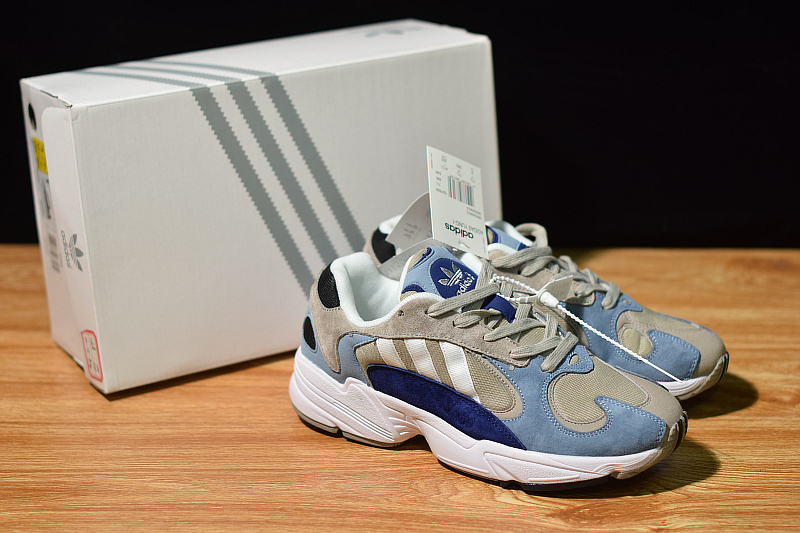 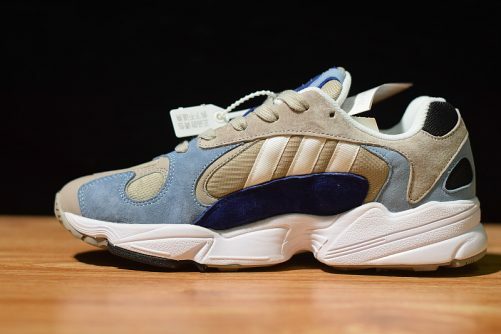 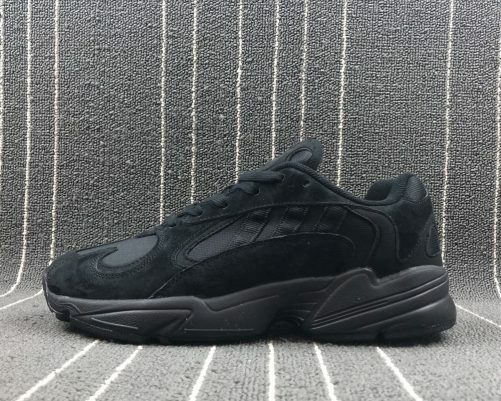 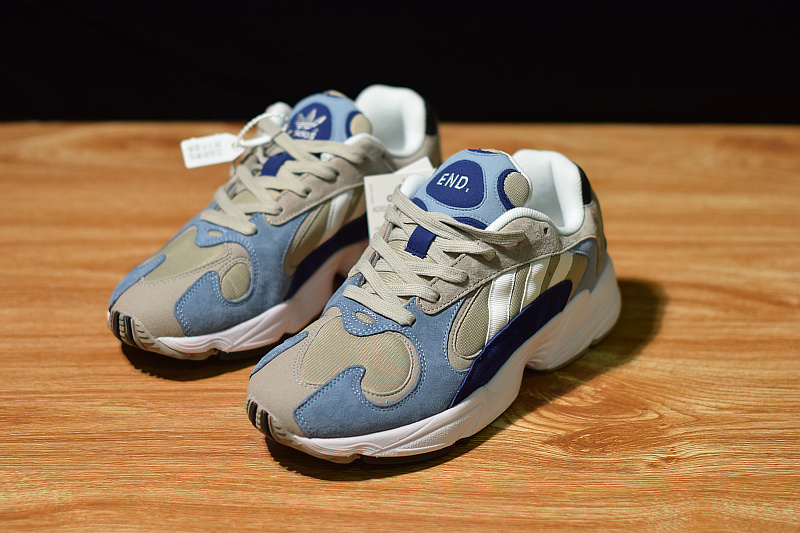 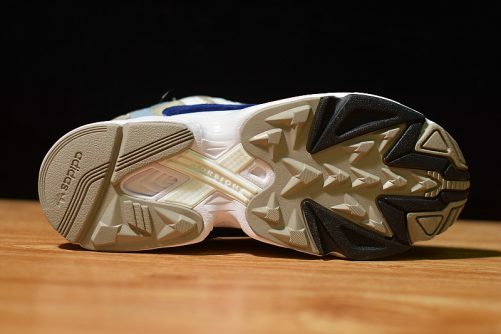 This adidas Yung-1 comes dressed in a Grey tones throughout its upper that’s constructed with a mix of mesh and suede. 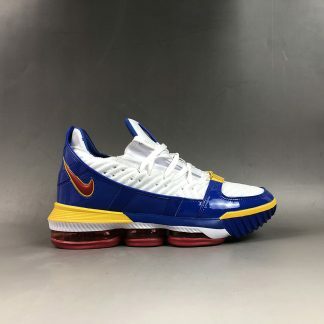 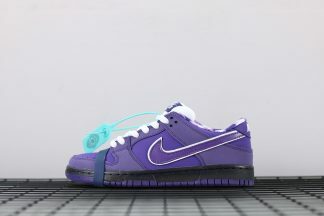 Light Blue suede overlays on the toe, heel, and tongue along with a darker shade of Blue on the side panel and tongue adds for a nice contrast. 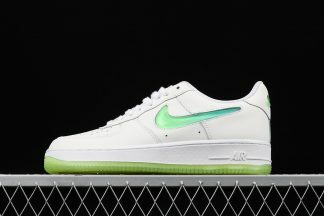 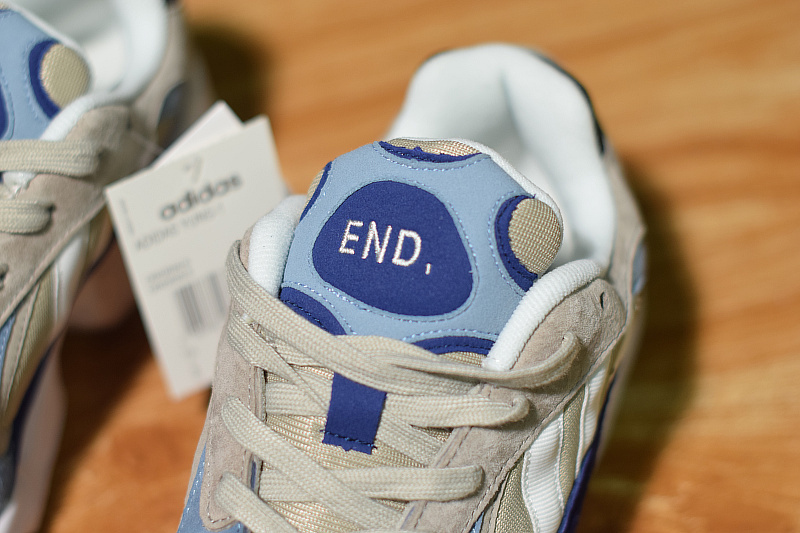 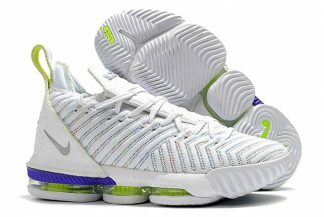 End branding stitched on the tongue and Cream Three Stripes on the sides completes the design.